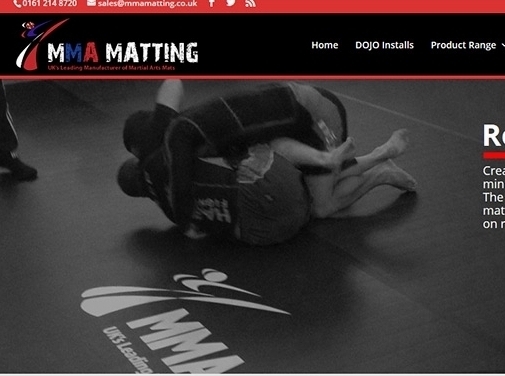 Leading UK supplier MMA Matting provide a range of martial arts mats suitable for training on at the dojo, sports hall or even in your own garage! MMA Matting supply a range of Judo mats in 40mm thickness in a variety of colours as well as mats of other thicknesses for lesser impact martial arts, such as karate. The Manchester based company also provide jigsaw mats that are ideal for use at competitions and tournaments as well as for those instructors who teach out of a sports hall who need to pack the training area away after use. MMA Matting are a manufacturer of high quality Crash Mats which are often used in gymnastics as well as martial arts classes. They also have their own range of roll out mats which are perfect for use at home in the garage or spare room. UK (Ashton-Under-Lyne, Lancashire) based business - established in 2006 - providing crashmats for sale. Website includes e-commerce facilities, delivery and returns information (via terms and conditions), work examples, associations, full contact details.